The 88th Annual Macy’s Thanksgiving Day Parade is set to be a star-studded event with performers ranging from Kiss and Sting, to the cast of Sesame Street. In an announcement from Macy’s, the lineup will include Idina Menzel, Pentatonix, Nick Jonas, Lucy Hale, Becky G, Hilary Duff, Quvenzhané Wallis, Renee Fleming, Meghan Trainor, Miss USA 2014 Nia Sanchez, and many more. The Philadelphia Taney Dragons, the star Little League team, is set to lead the parade’s procession as well. Pillsbury Doughboy, Paddington Bear, Pikachu, the Red Power Ranger, Thomas the Tank Engine, as well as Erupter from Skylanders. 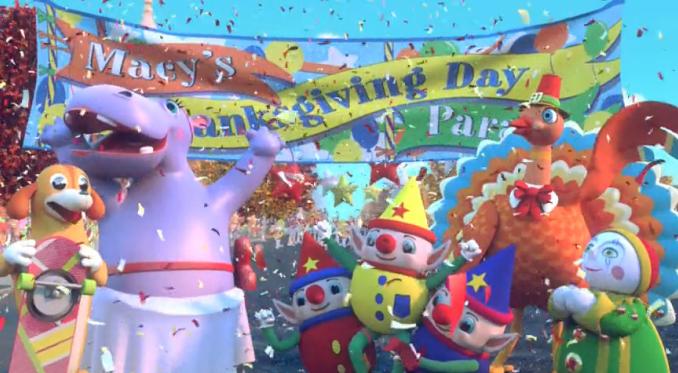 The Macy’s Thanksgiving Day Parade is set to take place Thursday, Nov. 27 at 9 a.m. EST in New York City.